If you’ve already got an ideal cubicle or closed-off area in your bathroom that you intend to bathe in, then we have the screening products you’ll need to create a great shower space. All of our wall-to-wall shower screens are constructed from high-strength tempered and toughened safety glass, which is sure to stand up to the day-to-day rigours of whole-family use. This entire products range also comes with top-of-the-line chrome-plated brass fittings, which won’t rust or degrade through exposure to moisture. We guarantee that these fittings are some of the best you’ll find anywhere, in terms of build quality, construction and material selection. 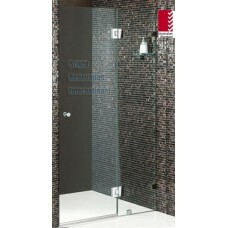 The minimal look of these screens is sure to suit any contemporary home or bathroom space. Their frameless styling fits the aesthetic of antique houses, cutting-edge modern bathing spaces and everything in between. These panels also come in a wide range of sizes and dimensions, making it easy to construct your shower space in a modular fashion. Regardless of the size of your bathroom, we can provide you with wall-to-wall shower screens in Melbourne that will fit any space requirements. You can also browse this product range in-person at our Dandenong South-based showroom, to truly get a feel for the dimensions and look of our screens. 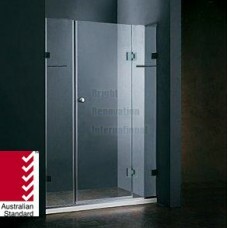 * Australian Standard Product * 10mm Tempered Toughen Safety Glass * Wall To Wall Measurement:..
* Australian Standard Product * 10mm Tempered Toughen Safety Glass * Wall To Wall Measurement ..